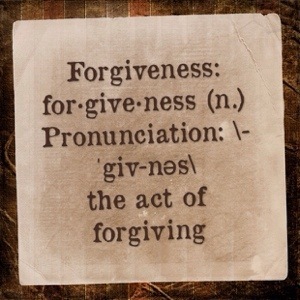 Forgiveness is tricky. It’s very difficult to get from a place of anger and resentment to forgiveness. The best way I know how to forgive is to try to find empathy for the respective person or people–attempting to put myself in their shoes and see the world from their point-of-view. This is, of course, a process and it takes time, patience and fortitude (and the amount of time is commensurate with the level of resentment), but it’s usually worked for me. Recently, I wrote a post about When You Can’t Give Stuff, which was about a situation I’ve been dealing with for a few weeks–although it feels like longer. I talked very generally about hoarding, some signs to look for and some resources for help, but–as all things on this blog are–it was clearly something I’ve been dealing with as an impacted family member and so I’ve felt pretty angry about this. This feels justifiable and understandable, but no matter, the physical, mental and emotional toll doesn’t care who is right, and I’ve come to understand that justifiable anger doesn’t do well for me. No anger does. I wanted to move forward. In this situation, it’s been hard to try to put myself in or see the world from shoes other than my own. I wanted to, but it wasn’t happening. And then over this last weekend, a thought came into my head–almost like when I have an idea for work or for this blog–but it felt more like a stanza than a sentence. I am not a poet, never have been, but this writing exercise was the only way I’ve been able to gain perspective and, ultimately, some empathy. So I went with it. I’ve also learned empathy, forgiveness and the like doesn’t always mean restoring what once was. Sometimes you can’t go back there, and perhaps you shouldn’t. But that doesn’t preclude pardon. A willingness to forgive is a gift to give oneself first, the other party can also be the beneficiary, but seeking to be free of resentment has always had an immediate impact me. It’s freedom. This was what I wrote, to see the world from the other side. What will fit, what can I try? If I have to give it all up, will it ever be alright?